Posted by Toy Lady in Cooking, Food, random stuff, Rochester. With my new favorite spring vegetable – the RAMP. There are just a few things that say, if nothing else, “SPRING IS HERE.” Daffodils. The red, red robin. Then there are the first stalks of seasonal asparagus. Spring, Easter, asparagus. All synonyms. 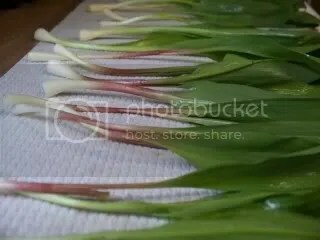 And now, after last week’s trip to the public market, we bring you Spring in the form of ramps – wild leeks – spring onions – whatever you want to call them. RAMPS, WHERE HAVE YOU BEEN ALL MY LIFE? Seriously. 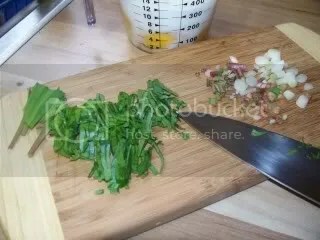 They’re kind of like a cross between the mildest of leeks, some sort of gentle scallion, with a little leafy parsley thrown in. Or something. I don’t really know, actually, what their deal is, just that I frickin’ love them! And it appears that we can store them just like herbs, that is, wash, lay out on paper towels, roll the toweled greens up, and wrap in plastic, a lá Alton Brown. 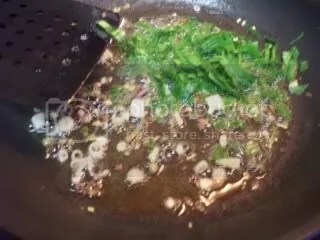 So I melted some butter in the pan, and sauteéd both the sliced ramp bulbs and the ramp-leaf chiffonade, just until the white bits were softened. Once we’ve deemed the ramps to be properly softened, I just dumped 5 fork-scrambled, lightly salted eggs into the pan. (5 eggs = 3 for Peeps, 2 for me. About.) (Also, 1 Tablespoon of milk per egg.) 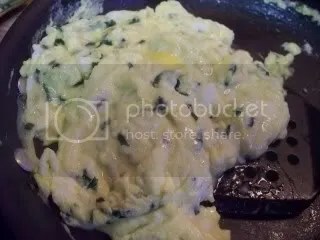 As I understand it, unlike omelets (that’s another post), for scrambled eggs, the idea is to keep the eggs moving. Cook’s Illustrated recommends using a spatula, and I’m willing to trust their judgment on most foody-type things. Stir and turn. Keep the eggs moving, and keep them cooking. I’m after nice, big curds, just barely cooked, so we want to keep the flame kind of high, and cook them fast. When we take the eggs out of the skillet, we want them to still be a little wet – eggs overcook in, literally, the blink of an eye. So, what’s for breakfast? 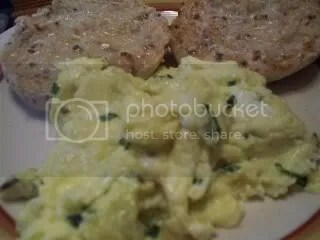 How about a couple of multi-grain sourdough English muffins with scrambled ramp eggs? So what’s your favorite lazy Sunday morning breakfast? Thanks, Heather! I just found your site a couple of weeks ago, and I certainly plan to participate more! I really need to go down the hill and to our stream and pull up some of that stuff growing there — maybe some of them are ramps! My grandpa used to talk about picking wild ramps in West Virginia, but I’ve never had a single one! I had never had them, either, until just recently, and I love them! I just finished what I had on tonight’s pizza – best topping EVER! 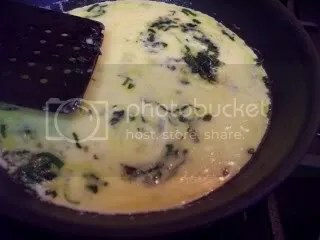 I have never heard of ramps before but those eggs you made look great. 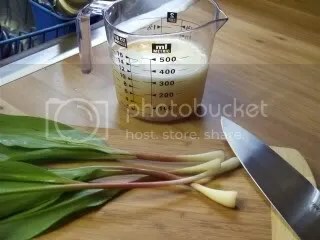 Maybe I can grow some ramps in the garden so I can try this out….I have no idea where to go buy some. I’m not sure where ramps grow, but if you figure out how to grow them, let me know!